So you may have just installed your new Klover Smart cooker, your Wamsler or Esse wood range or your small Oakfire workshop stove in your yurt. Whether or not cooking is really the new, creative, fashionable leisure activity, we have always enjoyed cooking and being cooked for. What can be more fun than to share a meal with a few friends especially if you have an exciting new recipe that you wish to serve them. Roll over Noma, here we come start with Juliet's pea soup. 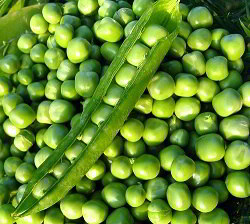 I love peas, fresh and frozen, but do not have a freezer so when I buy frozen peas I see them as a bit of treat. I have to use them up quickly. Unfortunately last weekend did not go to plan and the packet of peas was still in the fridge in it's unfrozen state on Monday morning. Here is my recipe that very quickly made them into a hearty lunch. Soften chopped onion in the olive oil. After a few minutes, add peas. Add water with dissolved stock cube. Let it all come up to the boil, add lime pickle, a little salt and pepper and boil for a further 3 minutes. Liquidise or blitz in blender.